Air Crew is the most recent of Nikolai Lebedev’s films since Legend No. 17 (2013). From the beginning, this film was conceived as a blockbuster project: it was produced by Nikita Mikhalkov’s (president of the Union of Filmmakers) studio, state TV, and Central Partnership (which belongs to Gazprom-media); Paramount Pictures is the distributer; and the federal Film Fund supported it. It is the second film in Russia to be filmed and screened in the IMAX format, following Fedor Bondarchuk’s Stalingradin 2013. Between the casting of high-earning film star Danila Kozlovskii and the popularity of the original film it remakes, Aleksandr Mitta’s 1980 Flight Crew (the first disaster film made in the Soviet Union and ranked in sixth place for box office returns in all of Soviet cinema history), the film promised to be successful in attracting audiences. Any publication about this film should begin with a comparison with its predecessor. As Lebedev has asserted in several interviews, it is not a faithful remake, instead reflecting contemporary narratives with modernized roles to fulfill the expectations of a twenty-first century audience. But the films certainly share a general structure and several motifs. A nostalgic domestic audience would not miss the cameo appearance of Mitta as the technician when Gushchin (Danila Kozlovskii) undergoes pilot testing, nor will they miss Aleksandra Iakovleva, who played the stewardess Tamara in the original. She appears as an aviation official in the new version and, in a committee meeting, supports Gushchin’s reckless idea of a midair passenger transfer, which is opposed by other, male members. In response to the claim of another official that “you have never run into such a situation,” she answers, “Are you sure?” (вы уверены?). While it was a huge box-office success, the film received mixed reviews: it was praised for its special effects, impressive action scenes screened in IMAX, and the excellent performance of the actors, especially Gushchin’s father (Sergei Shakurov) and the veteran pilot Zinchenko (Vladimir Mashkov). Most reviews pointed out the schematic axes of the three father-and-son relationships: two biological and one symbolic, between Zinchenko and his pilot-trainee Guchchin. Many reviewers did not forget to point out gender issues: while the female pilot Kuz’mina (Agne Grudite) talks about the sexism she encounters in a heavily male-dominated profession, the film ends up endorsing a strong patriarchal ideology, leaving no place for female characters. In the final scene in Zinchenko’s kitchen, after all the catastrophes, the father and the son strengthen their bond, yet the mother is completely left out of the conflict resolution. While the male flight attendant Nikolai (Sergei Kempo) performs heroic actions, saving people’s lives with Gushchin, Kuz’mina stays in the back seat on the flight deck of the aircraft, merely watching the two male pilots control the plane, even when Zinchenko is injured. 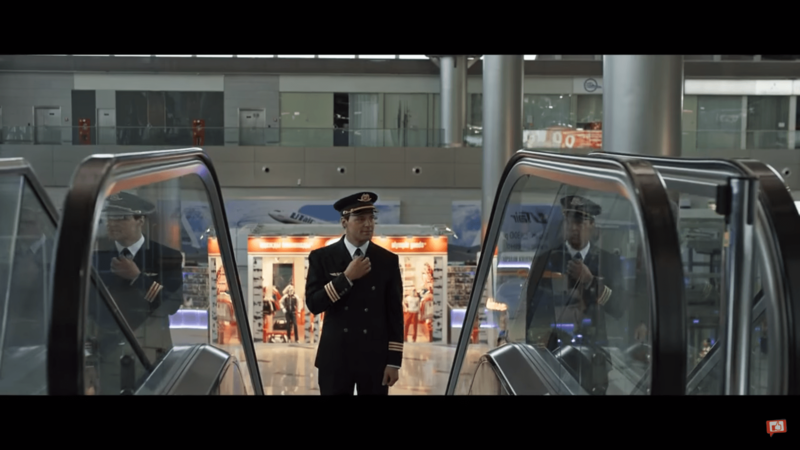 In addition, even though petty corruption and the arrogance of villain-oligarchs exist and succeed in expelling the “good” pilots from the company for disobeying rules during the catastrophes, a higher power—in the form of the father—supports and rewards the good citizens: in the end, the Russian flagship airline Aeroflot embraces the heroic pilots. 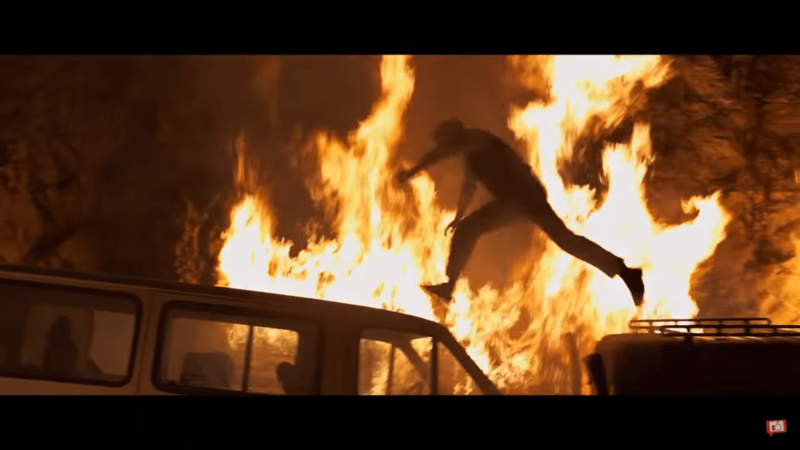 While the disaster movie genre is ideal for stunning visual spectacles and action sequences—understandable in any language— the generic frame of plots and characters is rarely susceptible to twists or unexpected changes: from the beginning of the film, audiences know the protagonist will never die (or, sometimes, he will die heroically at the very end) as he achieves his heroic deeds and shows self-sacrifice. Following this general structure, catastrophic disasters revolve around individual stories of personalities, describing the processes of how they gradually cope with hardship. The heroes are put to the test, which leads to the resolution of their individual problems and conflicts. The first half of the film unspools the family troubles and the love affairs of this basic plot. But the focus is on the young pilot, Gushchin. His confident and hot-headed personality consistently bring him trouble in his job and personal life, nearly forcing him out of his career as a pilot and pushing him far apart from his beloved. But over the course of numerous disasters, this romantic hero with a hot temper proves his “ego” to be right for the good of the people. He dares to save a foreign child and woman in a collapsing airport and to drive a van into flowing lava and flames to save people who have remained in a threatened village. Indeed, Gushchin’s super-heroic moments and the fantastical cataclysmic events, including the reckless midair transfer of passengers, should be understood as part of the clichés of the genre. As Lebedev himself pointed out, while Mitta’s film was a portrayal of everyday lives embedded in a mixture of melodrama and fairy tale structure, the new technologically-updated version is reduced to a pure super-hero narrative, which primarily focuses on the two-dimensional protagonist and celebrity Kozlovskii. Merging the Russian heroic narrative, based in a nostalgic longing for Soviet cinema, with Hollywood-style filmmaking and cutting-edge technology resulted in a successful, reliable box-office hit suitable for the manifesto of the Year of Russian Film in 2016. It successfully created an alternative to the Hollywood blockbuster that could be sold in domestic, as well as international markets. 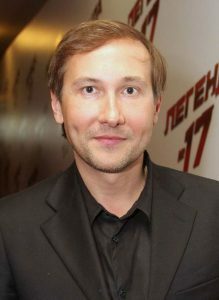 Nikolai Lebedev is a Russian scriptwriter and film director. He was born in 1966 in Kishinev. After receiving a diploma from Moscow State University in 1981, he studied under Vladimir Utilov at the State Institute of Filmmaking (VGIK). With Vladimir Grammatikov he ran the Russo-American project Sesame Streeton Russian TV and co-authored several detective novels. In 2002 Lebedev was awarded a state Prize for his WWII film, Star.